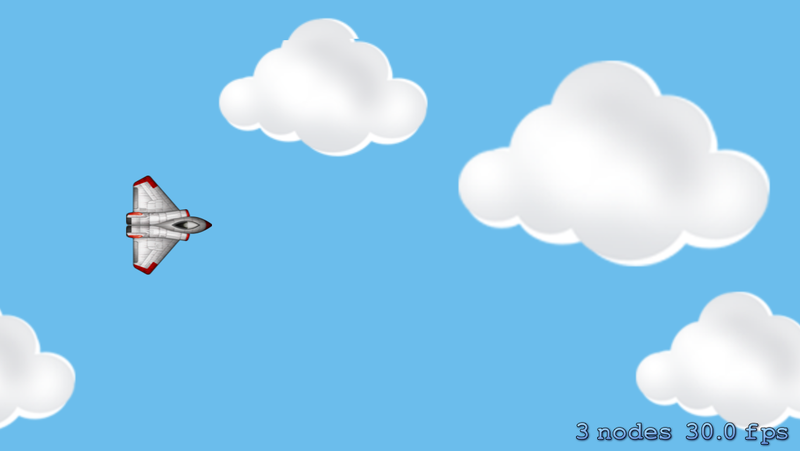 In the first part of the series, we created the basics scrolling background and a flying spaceship. For explanation of each line, take a look at addShip method. 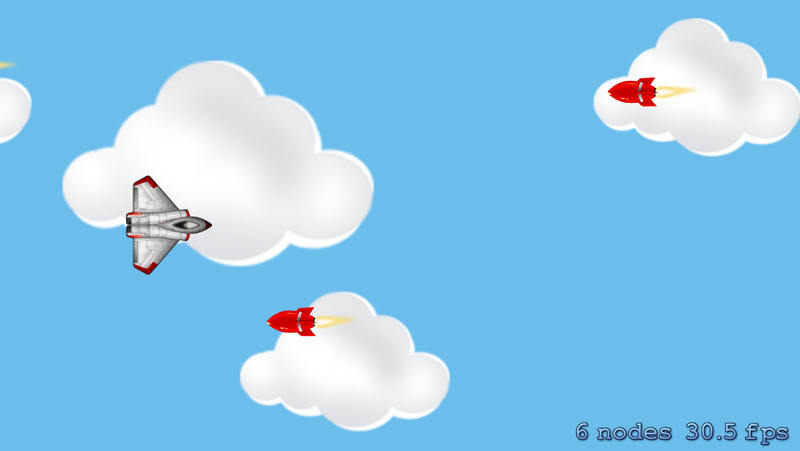 Once you have added this method add [self addMissile] at the end of initWithSize method and run to code to see our missile is appearing on the screen. Now we want to move the missile on the screen, so our spaceship can dodge it. Add another constant for saving missile’s velocity right after background velocity.We want the missile to move little bit faster than background. Let’s go through the code line by line. We collect all child nodes of the scene. We remove any node which has scrolled off the screen. Now we want to add missiles randomly at different y axis, every one second. We are going to add another property to manage when was last time a missile was added on the screen. We are going to use our update method to keep track of lastMissileAdded time interval. Run the project and you should be seeing multiple missiles on the screen now. This method passes you the two bodies that collide, but does not guarantee that they are passed in any particular order. So this bit of code just arranges them so they are sorted by their category bit masks so you can make some assumptions later. Finally, it checks to see if the two bodies that collide are the spaceship and missile, and if so calls the method you wrote earlier. 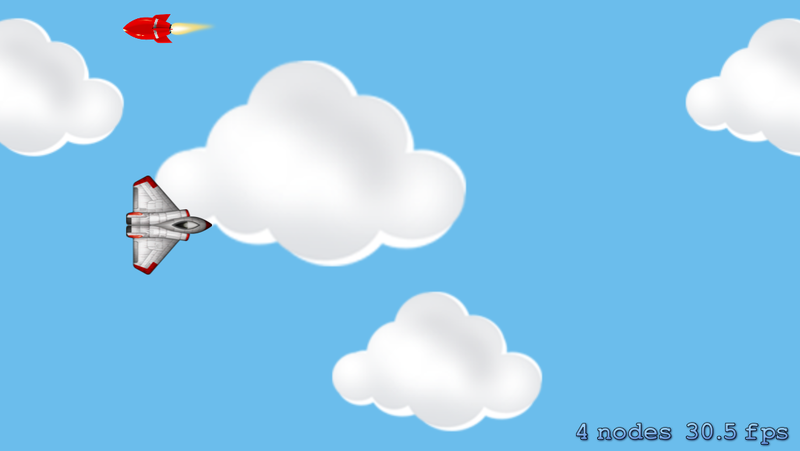 If you run the current code, you will see if the spaceship collides with missile it will disappear. Now, let’s create a new scene and layer that will serve as your “End of game” indicator. Create a new file with the iOS\Cocoa Touch\Objective-C class template, name the class GameOverScene, make it a subclass of SKScene, and click Next and then Create. Sets the background color to white, same as you did for the main scene. Sets the message to “Game Over”. Displays the label with Sprite Kit, choosing font and size. Creating another Sprite Kit label to represent our “Retry” button. We track the node present at the location where user touched the screen. We transition back to MyScene to restart the game. You can pick from a variety of different animated transitions for how you want the scenes to display – we choose a flip transition here that takes 0.5 seconds.Then you create the scene you want to display, and use thepresentScene:transition: method on the self.view property. Just one more thing to do before our game is ready to play. In MyScene.m after removing the spaceship after collision we need to transition to GameOverScene. So replace didBeginContact with following code. 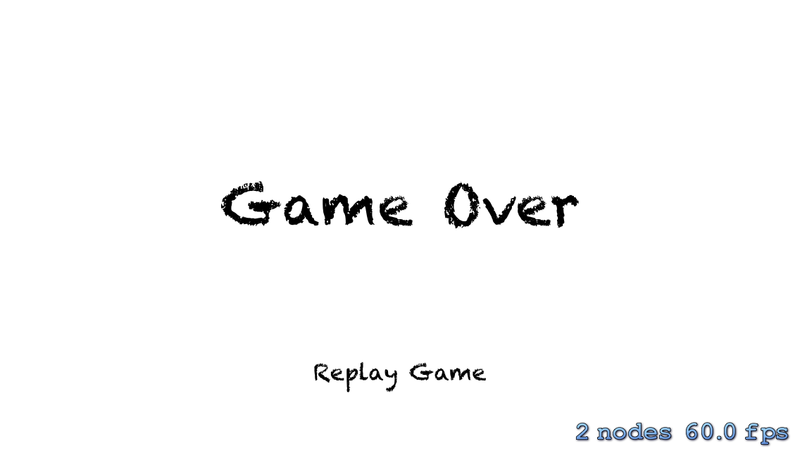 Run the game and you should see Game over screen if you collide with a missile. And that’s a wrap! Here is the full source code for this Sprite Kit tutorial. I hope you enjoyed this tutorial and are inspired to make your own game.